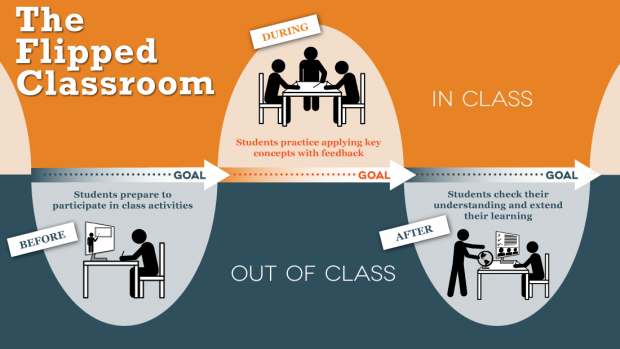 “Flipping the classroom” has become a hot topic in educational circles in the last year or so. The idea is that students first learn new material online, usually at home, and the classroom time is devoted to what used to be homework with the teacher’s guidance and interaction. Many articles have illustrated how the idea has gained currency with the advent of digital learning content. However, this concept is not restricted to watching videos or other digital media on the subject matter prior to the classroom session. Rather, the students read or prepare for the class session on their own. Then the classroom session is devoted to instructor-facilitated discussions and collaborative problem solving, helping students assimilate and understand the subject matter much better through the power of social learning. eBooks and eBook readers have a powerful role to play in helping instructors and learners flip the classroom themselves. Collaborative features (such as asking questions, sharing notes and annotations) allow students to share and discuss subject matter with their peers and teachers. Detailed eBook analytics allow teachers to gain a quick snapshot of student engagement ahead of time, enabling them to plan for influential group discussions and problem solving exercises. eBooks do not need to be a faithful representation of the print books, and eBook readers do not need to be mere page turners. If we are to use technology to improve student learning outcomes, it is time to get creative and truly use the power of digital technology.